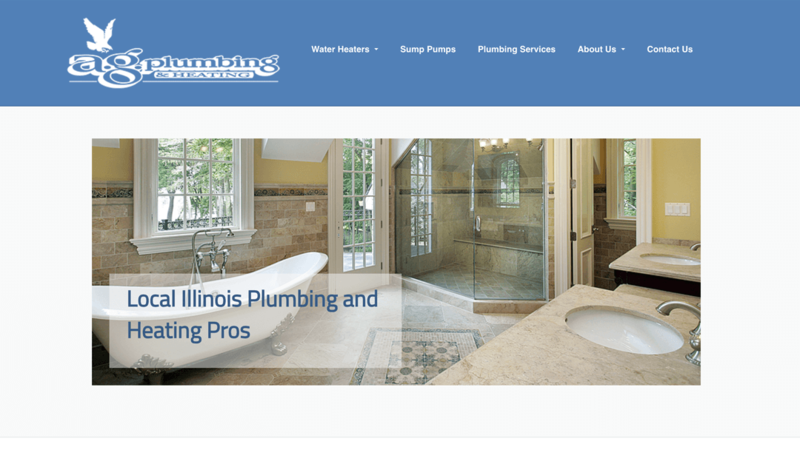 AG Plumbing and Heating is an established plumbing service company in the Chicago, IL area. They have a great reputation, and never did much advertising. Liquid Marketing Group was hired for a small web design project to give them some visibility online. Now AG Plumbing and Heating has a website that looks as professional as their plumbing work!